Fritter for your thoughts? 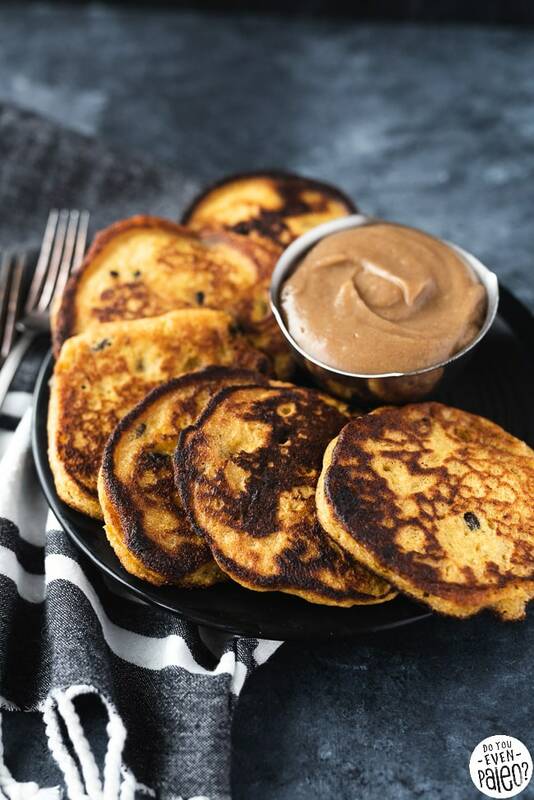 These fluffy plantain & raisin fritters take minutes to whip up and are gluten free, paleo, and nut free. 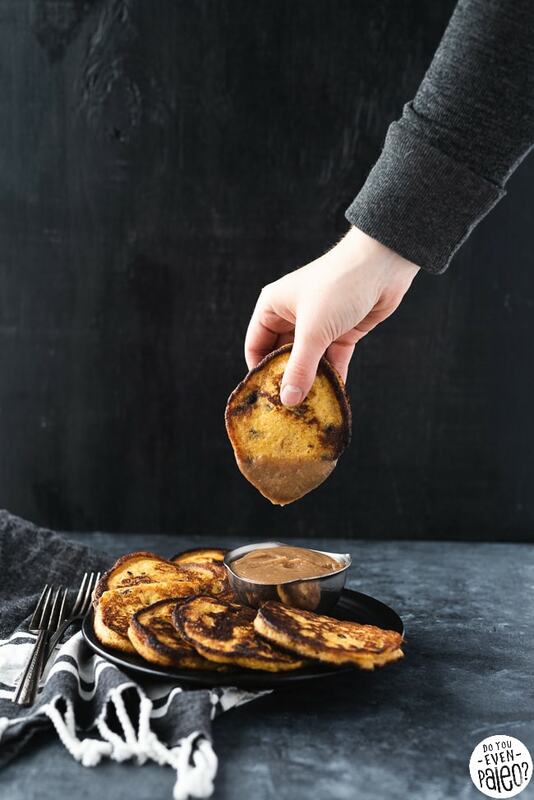 Serve ’em with the date caramel dipping sauce — they make a perfect pair — or eat them as a semi-sweet side dish with your meal. What makes a good fritter? “Fritters” inhabit an extremely broad category of food. Basically, a fritter is just a fried food, usually containing a batter or breading, that has bits of meat, seafood, fruit, or veggies inside. And while many street food fritters (plus some classics, like apple fritters), are deep fat fried, you can also make fritters with pan-frying. Pan-frying uses vastly less oil. 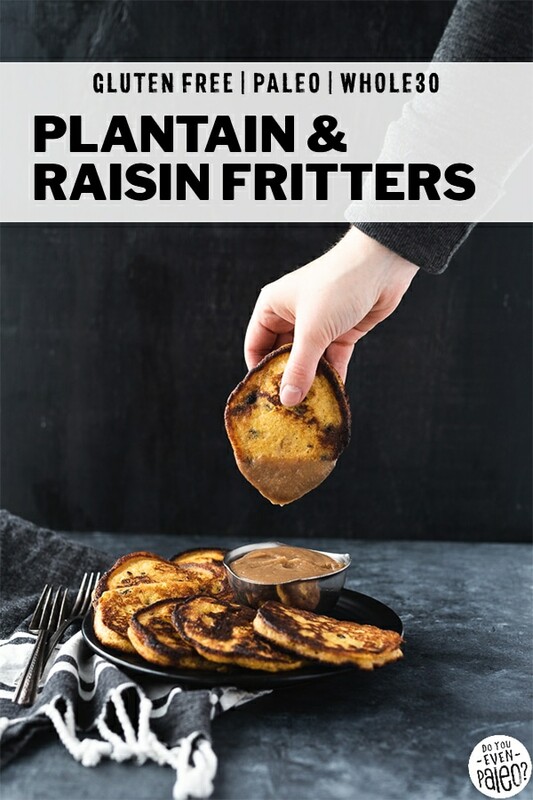 I find this method to be much easier to control at home, so it’s my go-to for foods like these plantain & raisin fritters! As far as what makes a good fritter? I think that’s a misleading question, and the answer is highly subjective. Fritters can be sweet or savory, deep fat fried or pan-fried, vegetarian or carnivorous. Like pizza, tacos, pies, or any other highly customizable food, a good fritter depends on what YOU like! As regular readers know, plantains are my favorite food/ingredient. 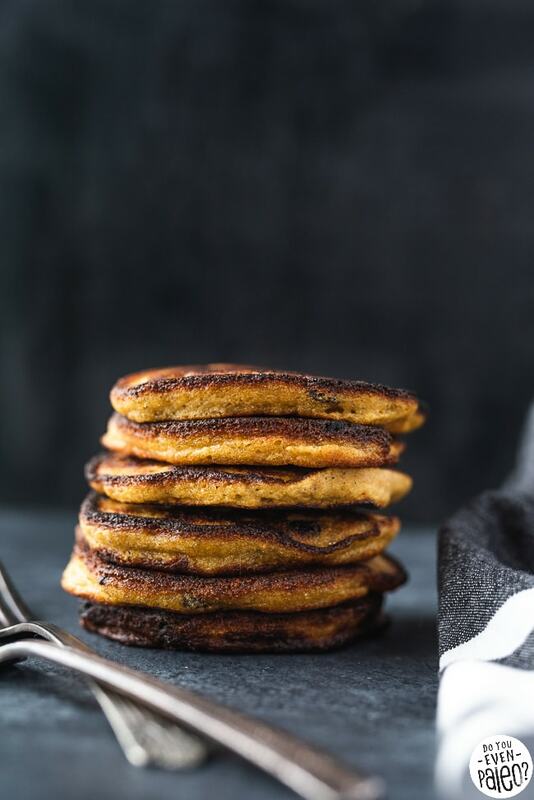 Visit my recipe index and you’ll see a whole category of Plantain Recipes! Heck, I wrote a whole post about plantains, detailing what they are, how they differ from bananas, and how to cook with them. But here’s what you need to know for this recipe. Use yellow to yellow-brown plantains. You want them to be pretty ripe so they blend up well into a smooth batter. If you can only find green or green-tinged plantains, hold off on the recipe until they ripen. 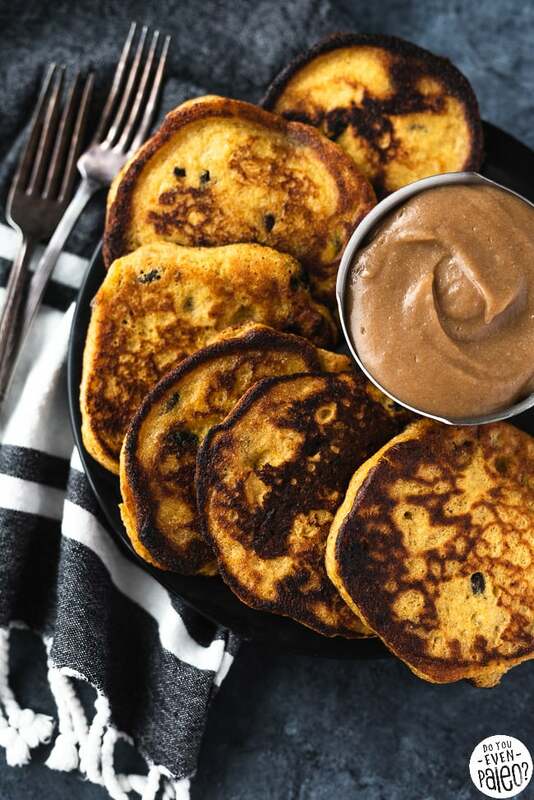 I chose raisins for these fritters, but feel free to change it up by using dried cranberries or other dried fruit! 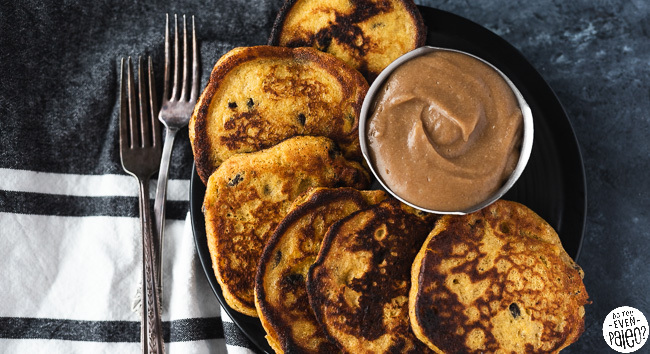 You could also easily add chocolate chips if you want to veer more towards a sweet treat. 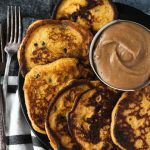 This recipe is extremely similar to my plantain pancakes recipe, so just a few adjustments can make a wonderful breakfast! 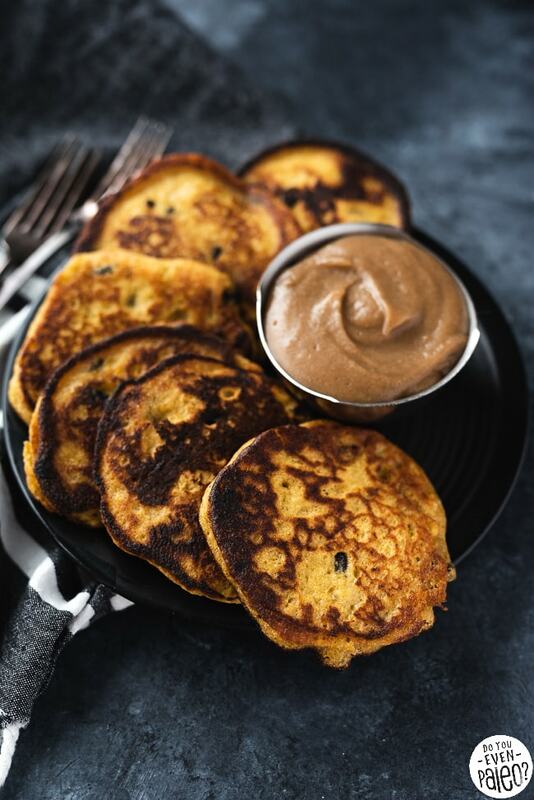 Fluffy and slightly sweet, these pan-fried plantain & raisin fritters make a wonderful side dish or sweet snack! To make the fritters, peel the plantains and add them to a large bowl. Using a fork or potato masher, mash the plantains to a uniform consistency. It can take a while to mash them down like this, but it gets easier as you work with them! Add the cassava flour, eggs, cinnamon and salt, mixing until smooth. Stir in the raisins. Heat the olive oil in a cast iron skillet over medium high heat. Add large spoonfuls of batter to the skillet, being careful not to let the fritters touch. Fry for 4-5 minutes on each side. Transfer the fritters to a paper towel-lined plate. Repeat with additional batches as necessary. 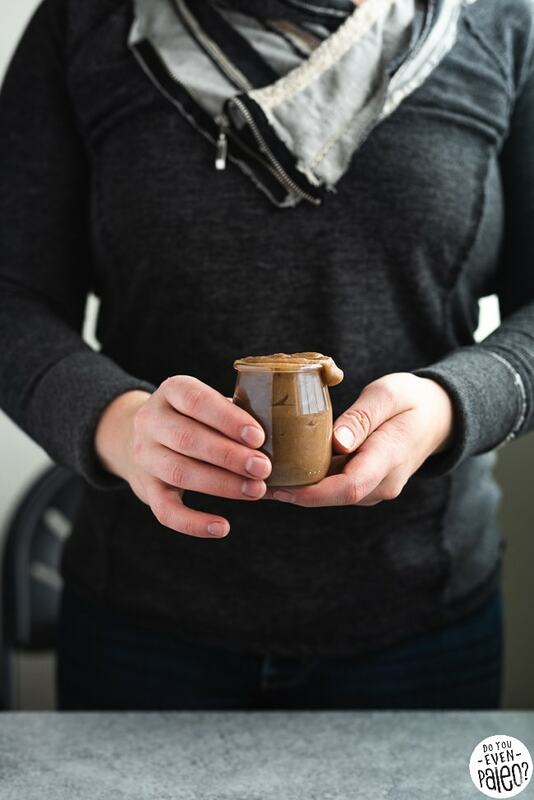 To make the date caramel dipping sauce, prep in advance by soaking the pitted dates in boiling-hot water for 1 hour. Then, add the soaked dates, reserved soaking liquid, non-dairy milk, lemon juice, sea salt, and vanilla extract to a blender. Blend until smooth. Serve with the fritters. If you find the plantains too difficult to mash with a fork, you can also add the plantains and eggs to a blender and blend until smooth. 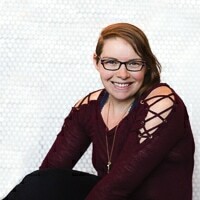 However, this could also be an indication that your plantains aren’t ripe enough, so the fritters may not have a slightly sweet flavor. Don't subscribe All Replies to my comments Notify me of followup comments via e-mail. 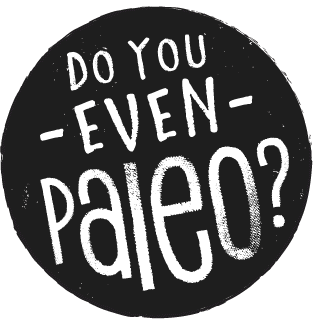 You can also <a href='https://www.doyouevenpaleo.net/comment-subscriptions/?srp=6895&srk=87505361eee98908ddf6ccb8681f50d6&sra=s&srsrc=f'>subscribe</a> without commenting.